Duke University’s Cameron Indoor Stadium is the crown jewel of college basketball’s classic venues. Beck’s design and construction teams are delivering a series of improvements that enhance the fan’s gameday experience, while also retaining the revered qualities of the Blue Devils home facility. The addition includes a new lobby, ticket office and memorabilia display on the ground floor, with club space on the concourse level. The project also includes the Blue Devil Plaza, a “plaza in the forest,” which provides a dramatic new approach to the athletics precinct. 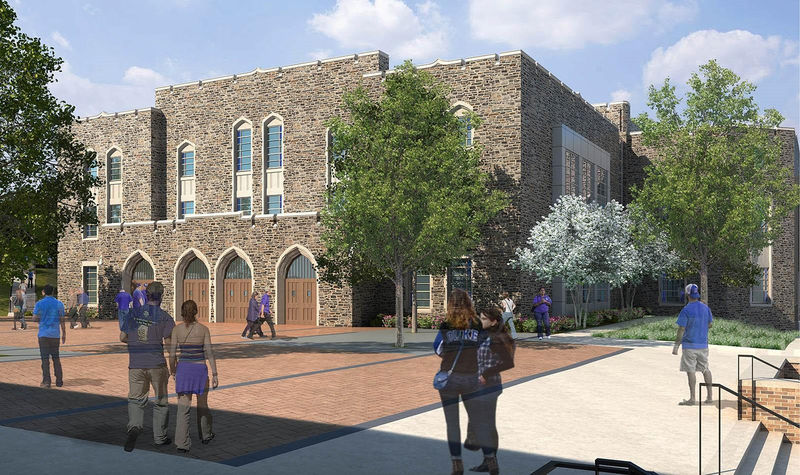 The plaza will physically connect Wallace Wade Stadium, Cameron Indoor Stadium and Duke’s Olympic sports venues.